Hermione Granger, the brightest witch of her generation, takes her studies at Hogwarts School of Witchcraft and Wizardry very seriously. She excels at every kind of spellcraft (except divination), and since the moment she cast her first spell, delights in all things magical. 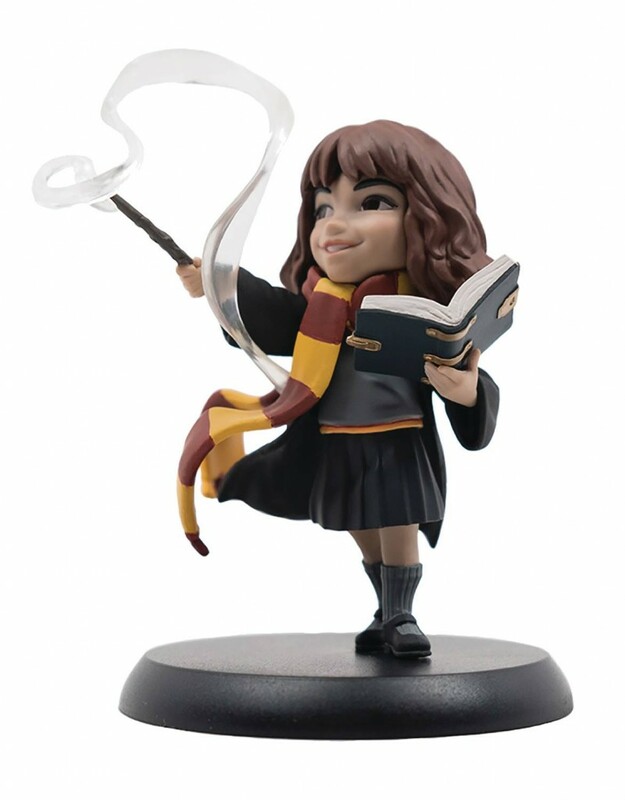 This cute Q-fig depicts Hermione wearing her school uniform with her Gryffindor scarf blowing in the breeze. As usual she has a book in her hand; a translucent magical wisp comes from her wand as she casts a spell for the first time.